The First update of 2018 for Fortnite : Battle royale is is out out now across PC , Xbox One and Playstation 4 .The updtae is big new addition is the silenced pistol ,the silenced pistol can be found in treasure chests ,supply drops or regular loot .you can find it in either Epic or Legendary rarity level. 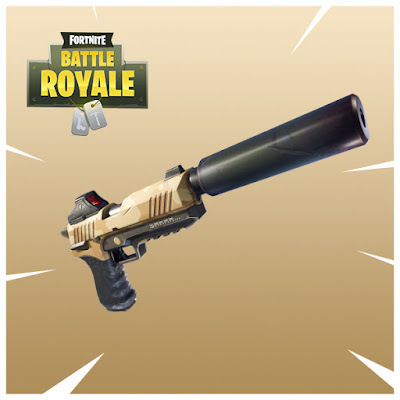 The Sneaky Silencers mode will be available from 5 Jan 2018 to 8 Jan 2018 so there is only a small window of time to check it out .This mdoe will replace the previous limited time mode . Battle Royale is Fortnite's Free ,PUBG Style survival mode .It's available for PS4,Xbox One and PC .Epic recently rolled out a new update for the Mode that Introduced smoke grenades and Many More.